Winners of Syracuse Stage’s 2014 Young Playwrights Festival will receive a staged reading of their works on Tuesday, April 29, at 7 p.m. in the Archbold Theatre at the Syracuse Stage/Drama Complex, 820 E. Genesee St. The staged reading will be performed by students in the Department of Drama (SU Drama). This event is free and open to the public. 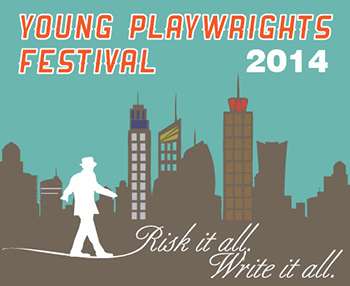 The Young Playwrights Festival is sponsored in part by Constellation Energy Nuclear Group, Tompkins Financial Advisors and Wegmans. For the 2014 Young Playwrights Festival, over 200 10-minute plays and performance pieces were collected by Syracuse Stage from 14 schools across Central New York. From the submissions, 16 semi-finalists were invited to a writing workshop at Syracuse Stage, where their plays were read by SU Drama students and critiqued by Syracuse Stage staff members. Semi-finalists then had a chance to edit their plays based on the critiques and resubmit. Eight finalists were then chosen for their works to be read on April 29.